India's 2009 Elections is an inquiry into the 15th General Elections of India. 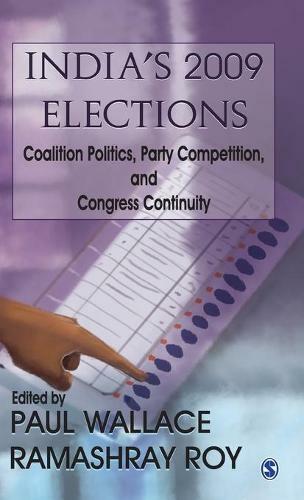 It explores how the elections played out, what factors influenced the electorate, and how the elections are an important contribution to India's democracy. - Coalition and alliance politics, representation, national integration, and women's participation. - Dominant party, competitive two-party and multi-party states including Gujarat, West Bengal, Rajasthan, Kerala, Maharashtra, Karnataka, Andhra Pradesh, Bihar, Jammu and Kashmir, and the northeast states. - Caste, tribal, and ethnic politics. According to the contributors, the public outcome of the 2009 elections indicated a demand for integrity, continuity, and competence-values that were considered almost obsolete in today's political scenario. At the same time, the contributors admit to problems in structure, providing for minority cultures, stability, and contentious public policy issues. [The book] provides some interesting insights into an election which was the first in recent history to be devoid of high decibel emotional issues.... India's 2009 Elections is an informative volume, not just for facts and figures but also for analysis, keeping some broad themes of Indian electoral politics front and centre.